Hello everyone! 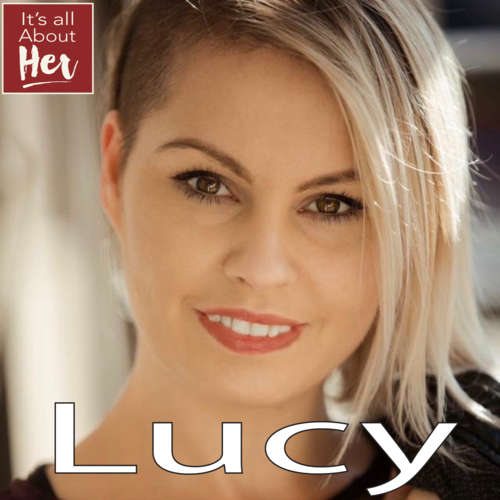 In this episode of It’s all about Her, you meet Lucy Stange, the Founder of My Social Drive. My Social Drive is a one stop shop for all your social media and content photography needs. Lucy is very interesting and I had a great time talking with HER, I hope you enjoy the conversation! What an unbelievable conversation with Marta Spark, at Mom, Does It All Podcast! What an honor it was to be featured. We had a great time talking about the way society looks at women-owned businesses, why we need to show up for the world, and why I started a Digital Marketing and Website design company. Today's Feature Female Friday is Lucy Stange! 1. Name and Name of your business and role. Where can we find you on social media? Who do you help, or what does your business do? Lucy Stange, Founder, CEO of My Social Drive. I was tired of being taken advantage of and frustrated that there weren't services out there that could come alongside me and help.